Are you a fan of the lovely and bubbly Kajal Aggarwal? If yes, then we have some superb news for you. In an exciting development, the lady just took to Insta and shared an adorable pic with her followers. In it, she can be seen alongside her mother. And, as expected, the ladies seem to be enjoying each other’s company a lot. 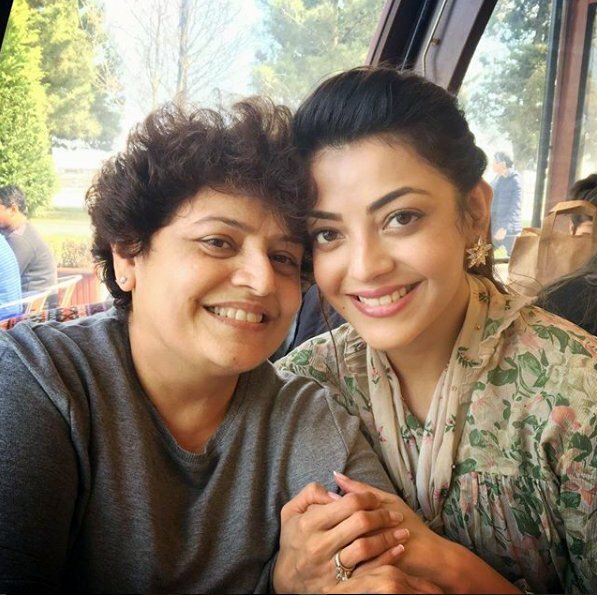 Kajal truly is mumma’s girl. In case you did not know, Kajal comes from a close-knit family and shares a lovely bond with her parents. During an exclusive interview with Pinkvilla, Kajal had once said that she comes from a close-knit family and shares a lovely bond with not just her parents but her relatives as well. On a related note, Kajal was last seen in AWE and received praise for her performance. It was produced by actor Nani and featured her in a new avatar. Upon release, it proved to be a commercial and critical success. At present, she has Paris Paris in her kitty. It is a remake of the Bolllywood hit Queen and will see her essay the role played by Kangana Ranaut in the Hindi version. A while ago, she had said that this is a challenging film for her as she is quite different from her character. So, did you like this photo? Comments, please!